New and Improved for 2016-The Kitty Tube Gen. 3 –With Custom Pillow and The Kitty Tube “SAFE” Low voltage heater option. See new features in description below. 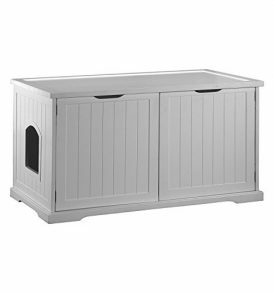 The Kitty Tube includes a custom, machine washable pet bed on top of the fully insulated floor. The floor, walls, and roof are all insulated with a high quality, high R value insulation. The Kitty Tube will stay cool in the summer, and is ultra warm in the winter. Alley Cat Allies and Feral Fixers Approved. The Kitty Tube “SAFE” low voltage heater is specifically made to work with The Kitty Tube. 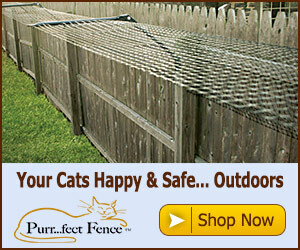 The low voltage design virtually eliminates fire or electrocution inside the Kitty Tube. It will heat to 102/104 deg. F., and is warranted for 12 MONTHS from date of purchase against defects. New and Improved for 2016-The Kitty Tube Gen. 3 -. Fully insulated outdoor cat house with Custom Pet Pillow AND The Kitty Tube “SAFE” low voltage heater. Improvements include: -A redesigned gasketed awning over the main door opening with an improved clear removable flap door. We also designed a vent cap on the lid to remove moisture laden air that causes condensation.-A Scratch GuardTM and moisture resistant interior surface that won’t harbor mold, mildew, bacteria, or cat spray/urine. -Awnings over the top handle/ventilation holes so they can be left open in the rain/snow. -A slightly elevated bottom with a drainage system. -Easy to remove insulation that will lay flat for cleaning. The Kitty Tube has a removable top lid, is seamless in construction, and is earth friendly due to the post consumer recycled content. The one piece construction provides for a smooth interior which is easily cleaned with a simple spray of the garden hose. 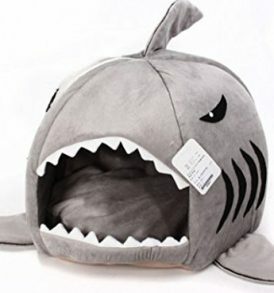 The dome lid keeps your pet dry in the heaviest of rains, and with the included machine washable custom pet pillow, the Kitty Tube will provide your pet a safe, secure, and dry home. The “SAFE” low voltage heater is made to fit nicely inside and will heat to 102/104 DEG. F. The recommended temp. 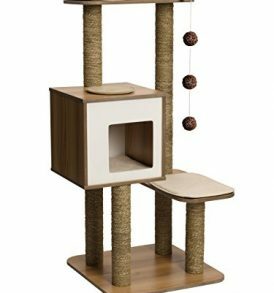 for cats. This SAFE heater virtually eliminates fire or electrocution inside the Kitty Tube. 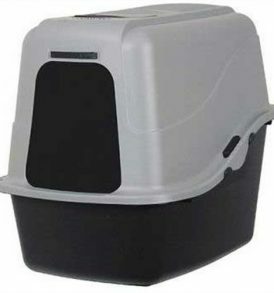 The revolutionary Kitty Tube provides a safe, and maintenance free shelter for your pet. Designed for outdoor use, the Kitty Tube is fully insulated to be cool in the summer and ultra warm in the winter. 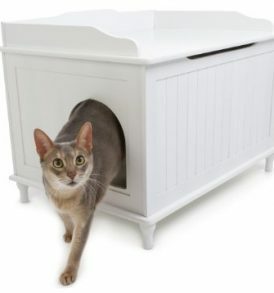 The unique door design provides easy passage for your cat, but will not allow a predator like dogs or coyotes to get to your cat. The Kitty Tube also creates a safe haven for your cat to give birth. The Kitty Tube is extremely durable and guaranteed for life to never chip, crack or fade. The Kitty Tube is a recycled product and proudly made in the USA. Color/Black See website for instructional videos to install Kitty Tube accessories. The Kitty Tube is made from post consumer content, consisting of recycled milk and detergent bottles. The Kitty Tube is an extremely green product, and proudly MADE IN THE USA. By purchasing our products, you are supporting many American businesses and their families. The Kitty Tube shell and lid are guaranteed for life to never chip, crack, or fade. Color is Black. 24" Diam. x 24" Tall.